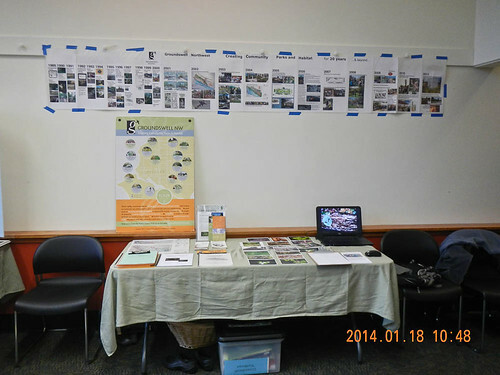 On Saturday (18th) Friends of North Beach Park tabled at the Heron Habitat Helpers open house. We shared a table with Groundswell NW, who had made the connection for us to be there. Our side of the table. Looking at this, I’d do a couple things differently. The laptop had a slideshow of photos from the park running on it, but nobody really noticed them. More prints of photos would be good. I like the idea of photos just tossed onto the table, that people can sort through and pick up. Another thing would be a nice poster behind our display. We used to have a trifold that we took to events, but in the course of carting it around, it got a little banged up. 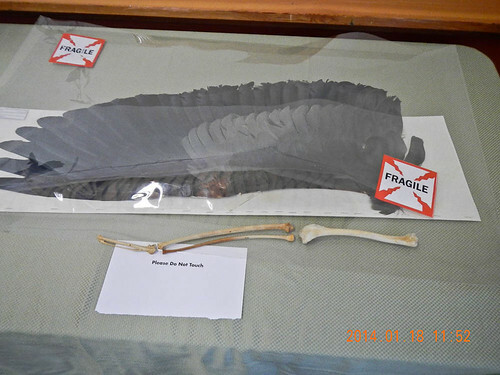 There were some pelts (beaver and raccoon) and stuffed birds (great horned owl and great blue heron) on display. My favorite was the heron skeleton. The skull felt so delicate I barely dared to touch it (and there was a sign saying “touch carefully” so it was okay to touch). 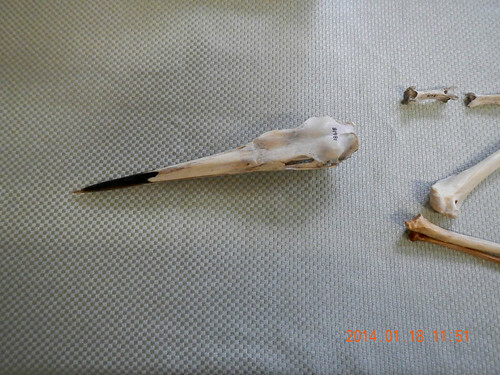 I was also very impressed with how large the wing structure is, and how small the bones that support it. There are some fingerbones missing, but the main arm bones are there. 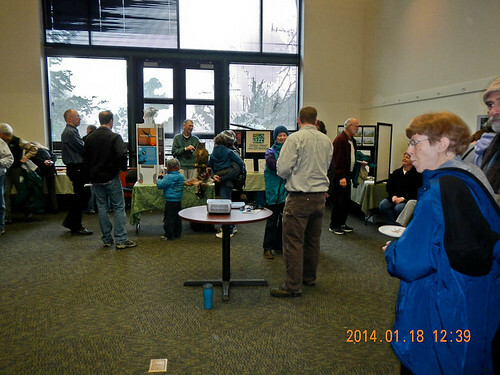 After the presentation, the event wound down a bit. It was relaxed enough for some chatting and schmoozing. We had a couple “small world” experiences: The DFW speaker knew one of North Beach’s best volunteers, and the husband of the event organizer is the boss of one of my fellow students at the UW. All in all it was a very nice time. 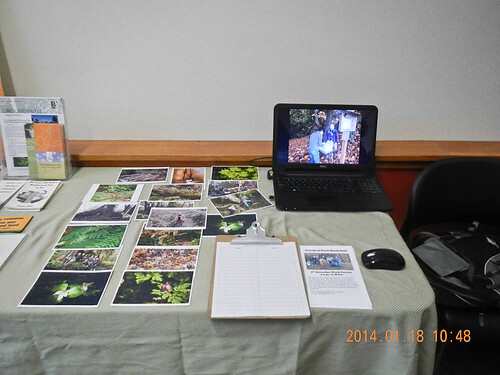 The speaker was informative, the refreshments table well-stocked, and the chance to meet other people interested in urban restoration and wildlife is always appreciated. We even got a couple new names for our mailing list!